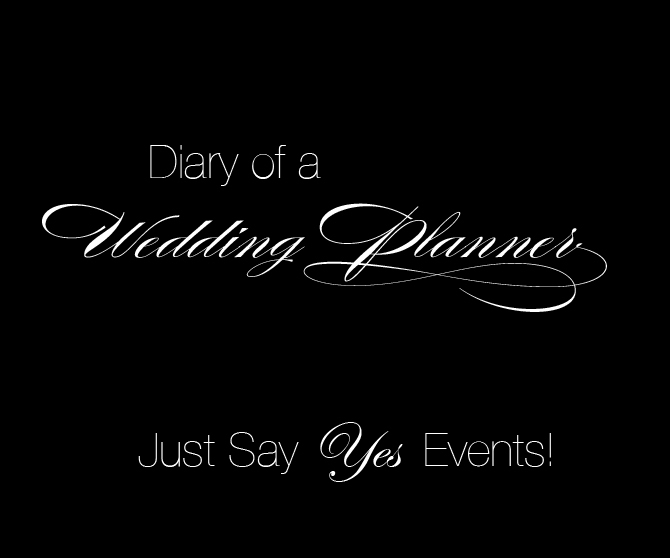 Just Say Yes Events: Mod wedding design. I love everything MOD!! With that being said, I'm super excited to show off our last design for the Luxury Bridal Expo at Belvedere Banquets. I think that using crisp bright white and adding a pop of color=Eye catching. For this particular MOD design I decided to use orange to pop off the white details. What we ended up with was a fun, vibrant modern design that would work with any color. This design can easily be redone with fuschia or chartreuse and every color in between. As always I will give a brief description with each image. Details, details & more details!! Ribbon was used a few different ways to add a fun aspect to the design. I added a ribbon detail to the napkin as-well as the bride & groom chairs. 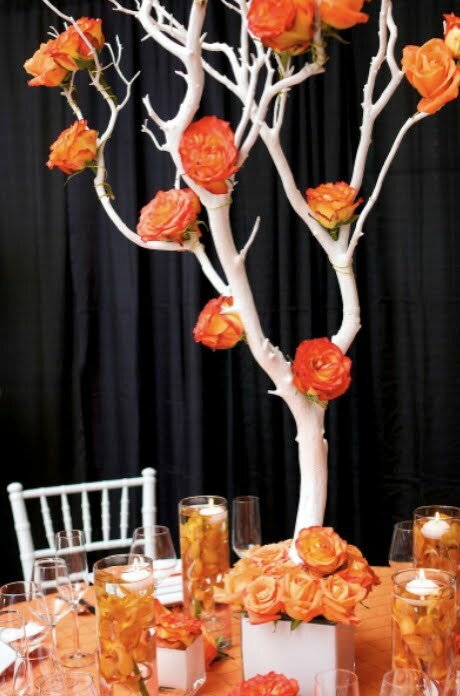 In keeping with the modern design the vases were cubes in bright white with giant roses!! I absolutely adore roses and think they are just perfect for this design. Roses galore hand wired to a white mazanita tree was the focal point of this tablescape. I think the next blog post should be 1,000 ways to use a manzanita tree! I have hung them from the ceiling, draped them in crystals, hung floral from them and now painted them white!! I LOVE that color orange! You did such an amazing job!